Home Celebrity Chanel B Interview A Remarkable Interview with Chanel B an American R & B Singer. A Remarkable Interview with Chanel B an American R & B Singer. We recently interview one of the most famous and precious American R&B singer, Chanel B a Soul sensation. 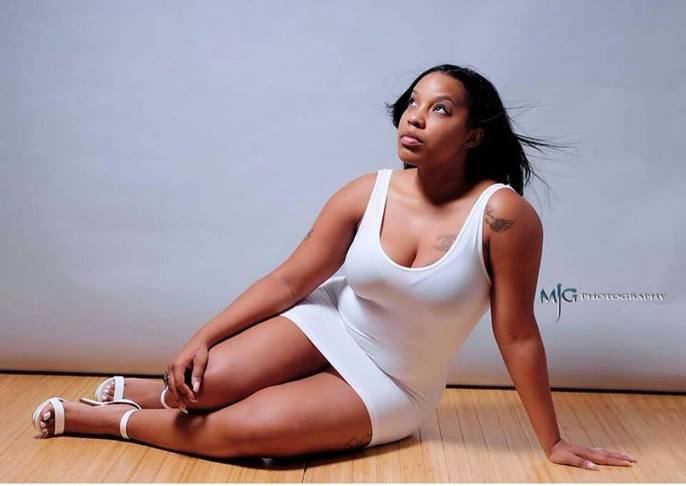 Chanel B is an American R&B singer, songwriter and music executive who is on the rise. 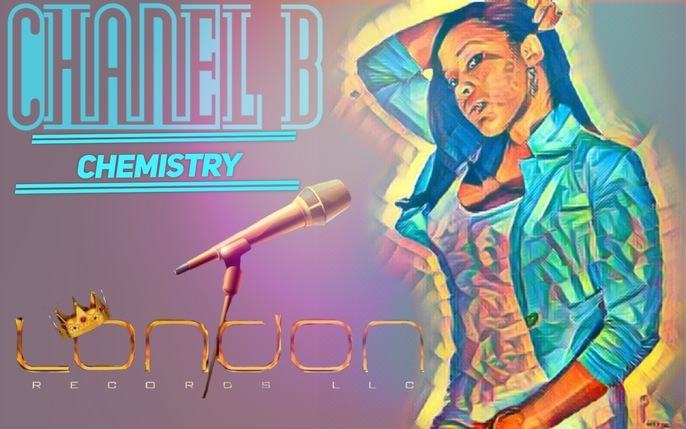 Chanel B born Chanel Brown is not only a recording artist and performer but she is also currently the President/CEO of Atlanta's very own LONDON RECORDS. Chanel has made an impression on the music industry with the launch of her debut single, “KNOWING” which is a sultry love song that’s has been making waves online and with digital streaming sites. A native of upstate New York, Chanel B has been enthused about singing since she was the tender age of 3. Like most soul artist, Chanel B was reared in the church. Her grandmother was a minister who along with her grandfather who inspired Chanel B to use her gift that GOD had blessed her with, her angelic voice. 1. Tell us how you became a singer and how long have you been in the music industry? Well, I’ve been singing since the age of 3 and at that age people didn’t think I was just pretty, they also thought I had a lot of potential especially for a 3-year-old. I used to say I was Mariah Carey and hit her famous falsetto ranges. The older I got I sang more and more in church and at school. My mother was my number one supporter she started entering me into competitions where I began receiving local and state recognition. I participated in many school musicals and community plays which got me to the point of really having great stage presence. During my time in the music industry I was offered many broken promises of record deals and so forth. Those empty promises and setbacks taught me some valuable lessons that’s why I’m the strong independent artist that I am today. 2. What gives you the passion to sign as an artist? I absolutely love to sing, music is my past, present and future. My passion is driven by me understanding where I came from, accepting my past, my mistakes and all the sacrifices I’ve made. Enjoying and soaking up everything on the journey of life and using it all to have a successful future and continue to grow as an artist. 3. How many super stars have you work with and how was your experience working with them? I haven’t worked with many yet, but it’s coming, and we are working on that. But the super stars that I have been blessed to work with and gain experience with, those moments were amazing to get feedback on my sound and stage presence. When I first moved to Atlanta I was able to perform at the Apache, and my background singer was “BET’s Sundays Best” Ashford Sanders, he was blown away with my singing and suggested we work together in the future so that was a humbling experience. Working with Grammy nominated producer David Weldon also known as “Rhythm D.” who also produced my single “KNOWING” has been a blessing and an honor. 4. Are you in a relationship, tell us about your relationship status? I am in a relationship. He’s a great kind and gentle giant, very different from what I’m used to…Opposites attract! 5. We heard about your debut single titled KNOWING and how it has touch lot of lives out there, tell us more about KNOWING. “KNOWING” is a trap soul track with an amazing vibe and feel the concept is even greater! Welp! It’s a true story *wink* majority of us have been in relationships where there’s cheating, lying, verbal abuse and more. We go investigating and like the older folk used to say, “Be careful what you go looking for because you just might find it”. Obviously, it’s not meant for the faithful party to know, but after all that investigating, being insecure whether it is calling the other person(s), drive-byes to constantly check on their whereabouts, or going through their phone and you find out that they are cheating, what’s next? Do we keep loving that person or allow it to make us bitter? It’s something about KNOWING. We just wish we never knew it!! 6. In 2014 you received the greatest breakthrough from X Factor as a contestant, how did you feel at that moment and what was the smile on your face like? Wow!!! That moment I remember it like it was yesterday! I heard about the tryouts the day before. I was at one of those low points in my career just because it wasn’t going the way I planned or wanted it to go. I timed to be there 3hrs before tryouts started, let’s just say I had experience with trying out for American Idol! So, I was the 4th in line out of about 300 people. I sang Porgy and Bess “Summer time” and blew everyone away, people were walking by and stopping in their tracks, it was like breathing fresh air. To later hearing on the radio I made it and along with it, I also won an expense paid trip to Denver, CO for the big show. I had to be one of the greatest and biggest opportunities in my life. My smile was huge of course, although I didn’t make it on the show, my smile remains huge because I know and feel that my time has come and I’m so excited on what more is to come. 7. What are your expectations in the next four years from the music industry? I have many expectations; I feel that whatever God has for me is for me. As being a CEO of my own record label of course the wheels start spinning slowly and gaining momentum, so it takes patience, resources and drive. My expectations are to have plenty more story-telling songs that touch people through the sound and the lyrics. I’d like to someday be a household name going for that Grammy winning hit! I also would like to be able to be that creative and artistic record label that with every artists we touch and sign, they go all the way to the top as well. 8. What are we to expect from you this year, are you releasing an album or new singles? Well, in the first and second quarter of 2018 I plan to release two other singles and hopefully by the end of the year an album that caters to all ages and where old school meets new school and new school meets old school. 9. How can we connect to you on social Media? I’m all over social media! !